Join us for Wells Brothers 60th Birthday Celebration, on May 4th from 10:00 a.m. to 3:00 p.m. If you haven’t heard Wells Brothers Pet, Law and Garden, turns 60 this year. Rumor has it that Wells Brothers received its first load of milo during the first week of August 1959 at 5:30 am. Since it’s hotter than the hinges of hell in August, our celebration will be Saturday, May 4th from 10 am to 3 pm. Make plans to come on by and celebrate our birthday. It’s hard to believe but time truly does fly when you’re having fun. The Wells Family thanks you for your continued support and patronage. It’s an honor to serve you. 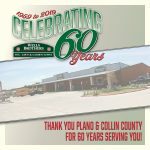 Please join us as we celebrate 60 years serving Plano and surrounding areas on May 4, 2019, right here at the store at 5001 K Ave, Plano, Texas. The fun starts at 10:00 am and runs until 3:00 pm. 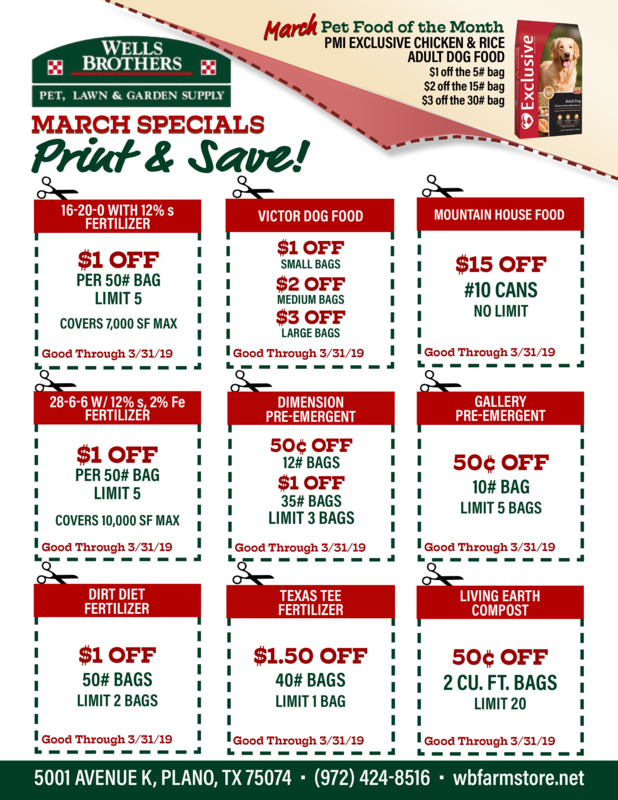 We’ve got a lot of savings and fun on tap, so make plans to attend. Howard Garrett AKA The Dirt Doctor – 10:00 a.m. Book signing and Q&A session. Low-Cost Pet Vaccination Clinic – from 12:00 pm until 4:00 pm. Dog and cats only, please.